The view from the Hall of Memory into the Hall of Silence is referred to as the Well of Contemplation. 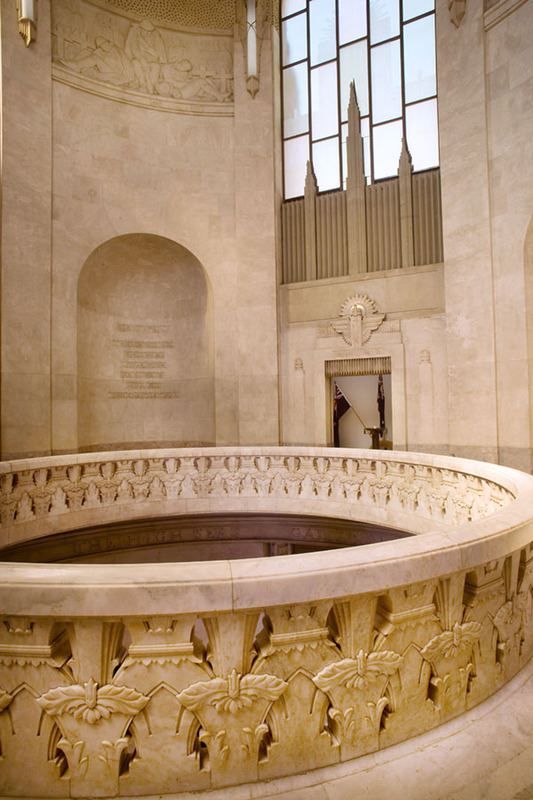 The Well is surrounded by a carved marble balustrade designed in the form of a wreath. Another commemorative symbol whose circular shape represents eternity, for it has no beginning and no end. The Romans used to weave laurel into a wreath to crown victors and the brave as a mark of honour. This wreath represents the Anzac’s courage and endurance and whether they were victors or not, the circular shape confirms that we will remember them for all eternity.